Will local officials’ vision match the moolah coming in from the gas boom? So, you’ve won the lottery — not the biggest one, maybe, but juicy enough that if you’re already earning, say $50,000, that winning ticket will add another $2,000 to $5,000 a year, after taxes. And while you can’t be sure it will last forever, you know those checks will be coming in for the next couple of decades. Bartender, break out the bubbly. But what do you do after the champagne goes flat? Do you decide to go back to college and get the extra education that could change your life? Fix the leaky roof this year and the balky furnace next year? Put the money aside for a while and then take that once-in-a-lifetime vacation? Or do you just go out to eat a little more often, tell the cable company to add HBO to your monthly bill, buy an extra six-pack of beer every week, and then wonder, in a few years, where all your money went (and why the roof’s rotted)? OK, now imagine that the big winner is the City of Fort Worth, and the extra loot burning a hole in its bank account isn’t a few thou a year from the lottery, but millions in Barnett Shale gas revenues — about $10 million already, but possibly as much as $1 billion over the next 20 years. Now, guess which path your city leaders have chosen. Did you guess they haven’t chosen any path? Correct! Only last week did city council members finally start considering the — literally — $64 million question. With one exception, council members seem loath to ask the voters what they’d like to do with the money; they’d rather be guided by staff recommendations. For now, city staffers are in the driver’s seat — and apparently counseling that, because the city can’t predict exactly how much money it will get, no overall plan should be made. Just northwest of downtown, the folks at Fort Worth school district headquarters seem to have even less of an idea what they should be doing with their share of the Barnett Shale windfall. The school district’s gas income is only a fraction of the city’s, with only one lease agreement at the moment. Still, the district has already collected more than $1.2 million in bonuses. “We haven’t discussed … any long-range plans for what we will do with any money we might get,” said trustee Juan Rangel. All around Barnett Shale territory, meanwhile, smaller cities, school districts, and other governmental bodies are busily making plans for what to do with their gas loot. In some parts of the field, which stretches from the Oklahoma border south through Johnson County and from Palo Pinto to Tarrant County’s eastern edge, the gas profits are increasing agency budgets by as much as a third — a huge change for any agency. At Dallas/Fort Worth International Airport, with its vast acreage, for instance, officials say the windfall will be monumental — $185 million in one-time bonuses, even before drilling has begun. They already know generally how the money will be spent — on upgrading facilities, land development, and “remaining cost-competitive.” School districts — but not municipalities — will also get to take home some of the proceeds of the state tax on gas production. And the Tarrant County College district, with $3.9 million in the bank from bonuses alone — no drilling has begun on its properties — believes that the money from Barnett Shale “belongs to the people” and will give it back in the form of scholarships. In little places like Everman, a diverse blue-collar suburb on Fort Worth’s southeast side, a combination of rich gas reserves and perpetually cash-strapped governments have magnified the effects of the gas bonanza. And the school board there decided early on to “put every dime in a special interest-drawing investment fund” to build new schools and repair aging schools, playgrounds, and sports facilities. 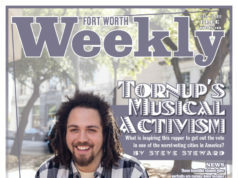 In Fort Worth proper, as city council members begin the process of thinking about this wealth, they are also discovering that their parceling out duties, while a lot more fun than, say, figuring out what to do with a multi-million-dollar budget shortfall, may not be that easy. One problem: Some provisions of state and federal law could keep massive amounts of the gas profits sitting in the coffers of facilities that don’t need them — unless local officials get busy and ask lawmakers for help in changing the situation. 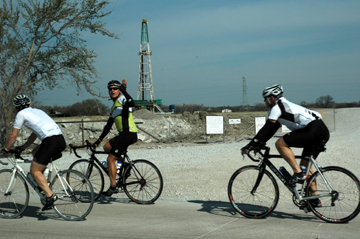 In short, the Barnett Shale boom — with all its attendant dangers to life, limb, and the environment; with its hidden costs and quality of life issues — is nonetheless providing local governments with the kind of once-in-a-century cash infusions that can make possible big changes, solutions to long-running problems, and projects that will bring major benefits for years to come — if some basic financial planning gets done. 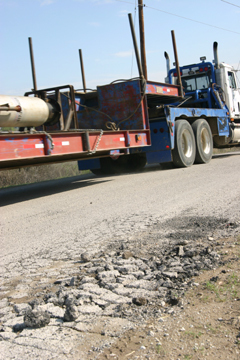 With the smoke and flames from the recent Parker County pipeline explosion still burned into their minds, officials might even consider setting aside money to help deal with the undoubted environmental and other problems that will also be a legacy of the boom. Or, we could all get an extra six-pack per week for 20 years. Burp. Maybe, rather than champagne or beer, water should be the drink of choice in North Texas to celebrate the Barnett Shale boom — cheap water. Consider this rather astounding math: The Tarrant Regional Water District, supplier of water to 10 North Texas counties, is going to be one of the biggest winners in the gas lottery, because of its large land holdings. More than 40 wells have already been drilled on water district property, more than half of those in the last year, and with the numbers due to increase substantially this year. In 2006, the water district’s operating revenues were $81 million — including a whopping $26 million in gas bonuses, with more on the way. For local governments, the Barnett Shale wealth isn’t raining down equally or on any nice per-capita basis. It depends for the most part on which agency owns the biggest stretches of land that can be drilled under. So — airports, school properties, parks, and river floodplain all make for fat gas checks. That’s what’s making the water district and D/FW Airport two of the largest winners in the Barnett roulette — and Tarrant County one of the comparative losers. In a little place like Everman, it means the hard-pressed school district budget gets a lot more help than the equally hard-pressed city budget, since the city owns only tiny amounts of land. 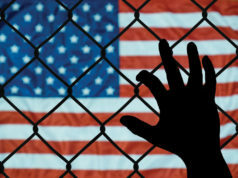 “We’re going to be the poor kids on the block compared to these other governments,” said county administrator G.K. Maenius. County officials recently inked a deal with Chesapeake Energy Corp. on two tracts, for a total in bonuses of $216,000 and a promise of future 25 percent royalties. At D/FW Airport, by comparison, the windfall will be huge. Chesapeake shelled out $185 million for the right to drill underneath the airport’s 18,000 acres and in the coming decades will continue to pay the airport in 25 percent in gas royalties. With an operating budget of about $615 million a year, that one-time bonus equaled a third of the airport’s annual operating budget. “Drilling does not begin in earnest until April or May of this year, and the drilling could be in place for as long as 25 to 30 years,” airport spokesman David Magana said. However much those revenues turn out to be — and no one is even willing to guess right now — Magana said that “the money will be reinvested in D/FW Airport as we upgrade and refurbish our facilities, as we seek to enhance non-airline venues through land development, and as we strive to remain cost-competitive in the aviation market.” Federal and state laws and the airport’s bond covenants forbid the money being used for anything but airport purposes. So far the airport has paid off a longstanding debt to Fort Worth and Dallas for the investment they made almost four decades ago during airport construction. Using its bonus money, the airport set aside $11.5 million for Dallas and $7.5 million for Fort Worth to pay the remaining balance on no-interest loans the cities made all those years ago. At the Tarrant water district, general manager Jim Oliver said in an e-mail that Barnett Shale profits won’t be used to lower water rates or invest in endowments. The district currently has no debt, so the money won’t be needed there. 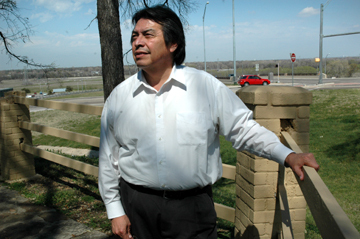 Nor, he said, will it be used to buy the water that the district covets — and is suing for the right to — in Oklahoma. “Generally, oil and gas revenues account for 15 percent of the general operating fund,” he said. However, based on the district’s recent annual financial report, the figure looks closer to 32 percent. Oliver did not return calls seeking a clarification of the numbers. “A portion of the Barnett Shale revenue is used for capital improvements on the [27 miles of levees in the district’s] floodway [system],” he said — including the huge and controversial Trinity River Vision project. He would not give specifics on how the rest of the money will be used. 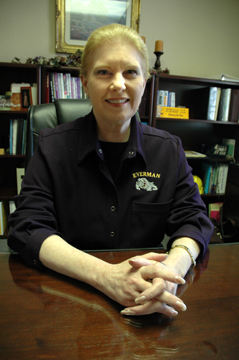 The Everman school district will celebrate its centennial anniversary this year, but that’s not all Superintendent Jeri Pfeifer and her board will be shouting about. They will also be congratulating themselves on the great good fortune of finding that their 16-square-mile district sits atop one of the richest sections of the Barnett Shale. For Everman, one of the poorer districts in Tarrant County, with about 72 percent of its students qualifying for free or reduced-price lunch programs, it’s like winning the lottery, the new super said. When Pfeifer took over the Everman schools in fall 2004, the district’s board of trustees had just leased mineral rights to a small Colorado drilling company called Antero, which shortly thereafter sold out to XTO, Inc., a major player in the Barnett Shale craze. And now the 4,215-student district, struggling to stretch an operating budget of $34 million to cover eight campuses, has grown a bit less lean. Over the past 14 months, it has banked $530,000 in royalty payments from two XTO wells, drilled from private property but underneath district land, Pfeifer said. The February check for $55,000 was the “highest yet” and a portent, she hopes, of things to come. The company plans to put two additional wells into production soon at the same site, Pfeifer said, and there are more on the way. And gas gurus predict that Barnett will be producing for 30 or 40 years. Still, Pfeifer recognizes that this is money totally dependent on factors out of the district’s control. Fluctuating natural gas well-head prices and the fact that the biggest royalty bucks come in the first year and could diminish by half over the following years as the gas depletes has made her board take a “very disciplined” approach to managing the money, she said. Unlike most of the other public entities contacted for this story, Pfeifer and her board are not still wondering what they’re going to do with all this “found money,” as some are calling the Barnett Shale dollars. The Everman board early on voted to use the money solely for facilities, she said, and is “putting every dime in a special, interest-drawing investment fund” to be used when needed for either new schools or to repair existing buildings, sports facilities, or playgrounds. 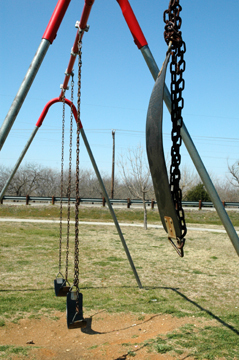 Because “you cannot put tax dollars or other public money at risk,” she said, under the legal prohibitions of the Texas Public Funds Investment Act, the district has invested its gas money in a government investment pool known as TexPool, overseen by the state comptroller’s office and run by investment firms Lehman Bros. and Federal Investors, Inc. To date, none of that money has been touched. The fund will “lower the amounts of any future bond elections and offset the need to raise taxes when new schools are needed and old ones need repair,” Pfeifer said — welcome news for the district’s many low-income taxpayers. Thus far, she said, there have been no problems with XTO. The closest drilling site is a quarter-mile from one school property, far enough away to reduce — but not eliminate — the risk to students of the increasingly frequent accidents, like the one in neighboring Forest Hill that killed a worker and caused hundreds of residents to be evacuated. “There have been no adverse environmental impacts” on the kids or the school, she said. In some other local school districts, like the Eagle Mountain-Saginaw district, all the property has been leased, royalties of up to 25 percent have been agreed to, and at least a basic plan for what to do with the money has been decided. Other districts, like Grapevine, are just getting into the act. But over at the largest school district in Tarrant County, no one seems to have a clue as to what it will do with its gas well money. 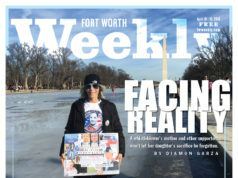 So far, the district has collected more than $1.2 million — in bonuses only, thus far — according to information released to Fort Worth Weekly under an open records request. And that comes from only one lease agreement, with Dallas-based Dale Resources, covering the 162 acres of school land that encompass Clifford Davis Elementary School, O.D. Wyatt High School, and the Wyatt athletic grounds. One well has been drilled just outside the perimeter of the elementary school, and the company has options to drill more. Rangel said that the district has been dragging its feet only because of concerns over the safety of the children. “We’re being a little more careful because we’re dealing with kids,” he said. Koehler echoed that. “There’s not enough money to jeopardize a child’s safety,” he said. However, the board has made no policy decisions about delaying drilling due to safety concerns. Koehler, who told the Weekly that he will not run for re-election in 2008, said that the board has had informal discussions about gas money, but “We have not talked about the magnitude of the revenue.” He said the board has also talked about idea of creating an endowment to benefit future school kids, rather than depending on the gas money — which won’t be coming in forever — to pay regular expenditures. He favors that route, but fears that state law restrictions on investments could make such an endowment impossible. “If I’m right about the law,” Koehler said, frustration obvious in his voice, such restrictions “create a tendency to say, ‘If we can’t save it, let’s spend it.’” Rangel said the school board and Fort Worth City Council have talked about finding ways to cooperate more on spending public money — but not about doing so with Barnett Shale money, in particular. “That ought to be an agenda item for the next meeting,” he said. TCC finance director Rudy Gonzales said that he is working on a model scholarship program to take to the board of regents. And TCC isn’t through. The district is working with Fort Worth and the Tarrant water district, Wells said, to put together a package of downtown properties owned by all three that they will put out for drilling bids in the spring, the idea being that by offering a larger tract of contiguous land, the group will get a much better price. A much better price, perhaps, but such drilling could also put many more people in danger even than wells on the edges of residential neighborhoods — and evacuating a downtown full of high-rises and narrow streets could be a nightmare. Fort Worth City Manager Charles Boswell said that he’s heard “a lot of discussion” about downtown drilling but that nothing has been decided. “Obviously, safety issues will be of the greatest concern,” he said. Joe Waller wants to talk about the giant pink elephant in the room that everyone sees but no one is doing anything about. The president of the Lake Worth Alliance, a consortium of neighborhood associations on Fort Worth’s northwest side, has been thinking a lot about how Fort Worth might use all that Barnett Shale money. And he, for one, has a plan. He’s frustrated, though, because no one else at city hall, until very recently, has wanted to discuss such plans. “At this point, even though the city has been getting royalties from the gas drillers for a few years, no one on city council wants to talk about the choices we have,” he said. Councilman Chuck Silcox agrees that it’s long past time to make some decisions. “But now greed is setting in, and we have such vague policy that some on council are going to try to take advantage of that for their own pet projects,” he said. “We need to find out from the public what we should do.” His council colleague, Sal Espino, cuts city leaders a little more slack. “I don’t think anyone knew of the potential from the Barnett Shale money even a year or so ago,” he said. The city council, it seems, now agrees with Waller — at least to the point of starting to think that the city needs a plan. The council has asked staff to put together a proposal for a moratorium on spending any of the gas well income until elected officials can make some decisions about the money. 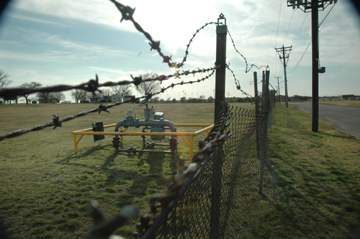 In addition to other concerns, the council members are finding out that some of the gas well money carries restrictions: Under current law, some gas well income earned from drilling beneath parks and airports must be spent on park needs and aviation needs, respectively, or be invested and the returns spent in that way. State law requires that such investments be in extremely low-risk funds. But those state and federal laws are also creating a situation that’s got a lot of folks in Fort Worth city hall scratching their heads. Right now, the three city airports — Spinks, Meacham, and Alliance — pay their own way through landing fees, hangar leases, and other revenue sources. Over the next two decades, the city expects to spend about $5 million on its share of capital improvements at the airports — but drilling there could bring in up to $120 million, meaning they’ll have an estimated $115 more than they need, and can’t spend the money elsewhere. City officials who asked not to be quoted said that the only plausible solution is to ask a local member of Congress to get the FAA to rescind its rule or make an exception. FAA spokesman Roland Herwig said the agency will “dig deeper” into the Fort Worth airport conundrum, “but right now, the law is the law.” Through 2006, the city had received about $10 million in gas well proceeds — but expects to make two or three times that much this year. Thus far, little of it has been spent. Two council members, Danny Scarth and Jungus Jordan, have said they intend to put forward a plan later this month to guide the city in using the gas monies; a vote could come in early April. Aside from royalties gained from drilling beneath parks funded with state and federal grants and city-owned airports, they want the rest of the money — expected to total more than $600 million over the 20 years or so — to be split three ways: half to an endowment fund whose earnings would be plowed back into basic city services, and 25 percent each to a property tax break and capital improvements. But — what capital improvements? Is that all the plan that Fort Worth needs? It is, of course, more of a plan than the city has at present. Up until now, said interim finance director Richard Zavala, city staff recommendations about using gas well revenues have been very conservative because that income can fluctuate greatly. But his description of what’s been done up to now suggests that the staff has a plan, even if the council doesn’t. “We don’t want to [use gas revenues to] underwrite operations,” he said. “We want to pay cash, and we want to build things.” If you’re still confused about what that means the city will use the money for, so are citizens and council members. Specific ideas from council members are all over the map: Improving the city’s roads, one of the uses council members hear most about from citizens. Buying parkland — an area in which the city is quickly falling behind, as the population grows. Re-opening city swimming pools and adding new ones. Improving the city library system, which is also below average in terms of continuing to update and enlarge its collections. Eastside economic development and neighborhood improvement. Jumping into a light-rail public transit system. Maybe even creating a free citywide wireless computer system or WiFi network. Many council members talk about dividing the gas profits between the endowment fund and the tax cut. The idea behind the endowment is as simple as any savings plan: Invest a certain amount of money and spend only the income off that investment. The principle stays intact, providing a much smaller amount of cash — but providing it year after year. But it still doesn’t answer the question of what the endowment income would be used for — the furnace? The vacation? The college degree? Or the beer, movies, and steaks? The tax cut also has lots of voter appeal. But would a tax break benefit the citizenry as much as, say, a public transit system? Not all economists think that the endowment or tax cut is necessarily the best thing the city could do. Every city and government entity has to figure out its own needs and priorities, said Bernard Weinstein, director of the Center for Economic Development and Research at the University of North Texas. “In the case of school districts, it is probably best to use the money to hold down property tax rates. You can hold down rates for everyone,” he said. “But in the case of cities and counties and municipalities, it might be good to earmark those monies for specific improvements.” Those could be new capital projects like roads or parks, he said, but also paying down a city’s debt or setting money aside for employee health benefits or retirement costs — the last two of which, of course, have been major financial pains for Fort Worth recently. Elected officials, he said, “are stewards of money that comes from the private sector. If they don’t need the money, then give it back. But if you can identify a host of infrastructure needs — even in the arts and public parks — then have the foresight and determination to use the money in those ways. “The easy decision is just to give a tax break. It is tougher to make an investment decision that improves the community 30 to 50 years out.” Few council members talk about capital improvements — the kind of signature projects that could change a city’s skyline, its public persona, or, in the case of major parkland purchases or public transit, its quality of life. “I think we need to come up with some tangible assets for the city [to acquire] with this revenue, and it needs to be discussed more,” councilwoman Kathleen Hicks said. She also wants to make sure that the spending is equitable — that is, that the East Side gets the share of funding and projects that many residents feel has been denied them through the years. Except for Silcox, council members were cool toward the idea of holding public hearings or appointing a broad-based public committee to get citizen input. Repeatedly, council members said they relied on city staff to make those recommendations. “We are elected to make decisions, and I don’t think a lot of committees will move it forward much,” Espino said. “We have to make decisions and stand by them.” Silcox thinks the public ought to be part of the process. “I think we should have looked at this some time ago, maybe appointing committees and listening to what our citizens really want,” he said. There’s no question that financial treasure chests like the Barnett Shale boom can make profound changes in an area — even if the new money sources are transitory, unpredictable, and even if, like the gas-drilling frenzy, they also represent a Pandora’s Box of ills along with the gains. Local officials need look no farther than Glen Rose in the “North Texas hill country” about 45 miles south of Fort Worth, for proof. When Fort Worth built the Comanche Peak nuclear power project there in the 1980s, the enormous value that the plant added to local tax rolls turned Glen Rose from an impoverished burg into a bustling little town. The courthouse and city hall got makeovers, and the school district built a beautiful new high school. The new tax dollars made possible a state-of-the-art amphitheater, 36-hole golf course, and a multi-use expo center — all amenities that continue to pump up the Glen Rose economy. Not surprising for an economist, he thinks the best idea is to spend some of the gas bonanza and save some. “That would be my advice,” he said. Spend “maybe half on current operations and put the other half in a trust fund or spend it on infrastructure — something with long-term payback.” Staffers Dan McGraw, Betty Brink, Jeff Prince, and Gayle Reaves and intern Nandini Balial contributed to this story.